We've picked the top 5 infographic creator tools available on the web to analyze their features and plans. These days, you don’t need to have design skills to craft the perfect infographic and present it to the world. Luckily for all of us, there are amazing infographic creator tools available on the web which make infographic creation feel like a game. 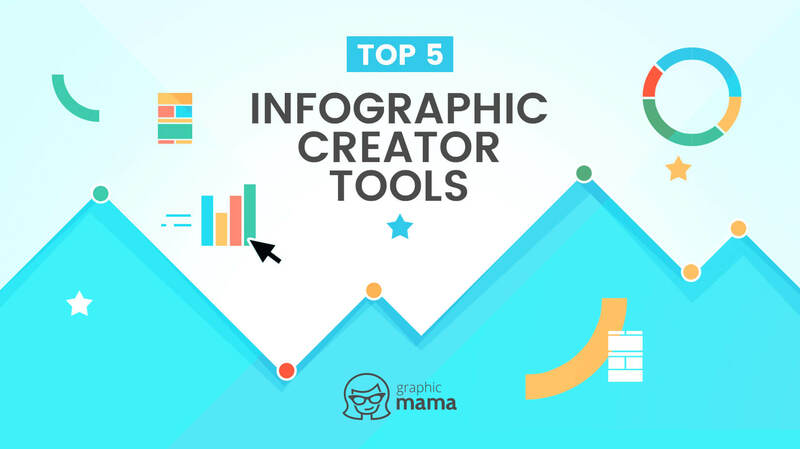 Today we’ve gathered the top 5 infographic creator tools to help you choose your favorite. All of these platforms have free versions and paid versions, so you will be able to test them out before or if you decide to make an investment in such a tool. Extremely easy to use, these infographic creators have libraries which contain all kinds of elements that you may need. Now let’s see what are the features and capabilities of each. 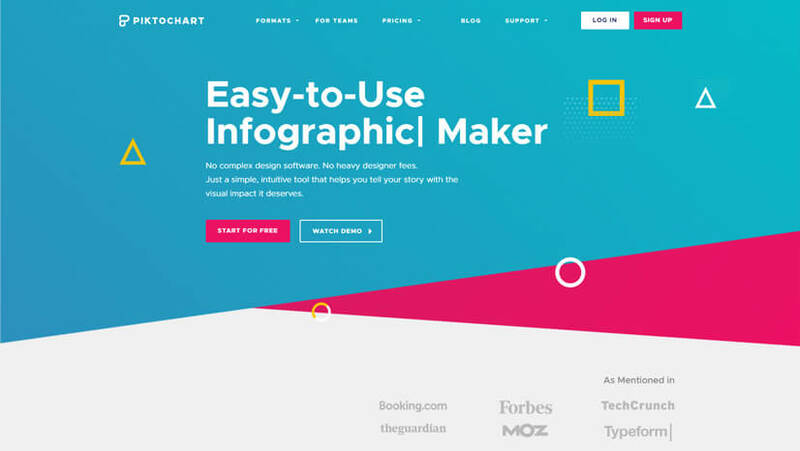 Canva is an online infographic creator tool that can be used for free. The platform is extremely easy to use and it doesn’t require professional design skills. To create an infographic, you will first need to choose a template from one of the infographic templates categories: Business, Charity, Education, Process, Timeline. The whole process of creating an infographic is pretty simple. You have a menu with layouts, fonts, backgrounds, patterns, and many design elements such as icons, charts, shapes, lines, illustrations, and more. 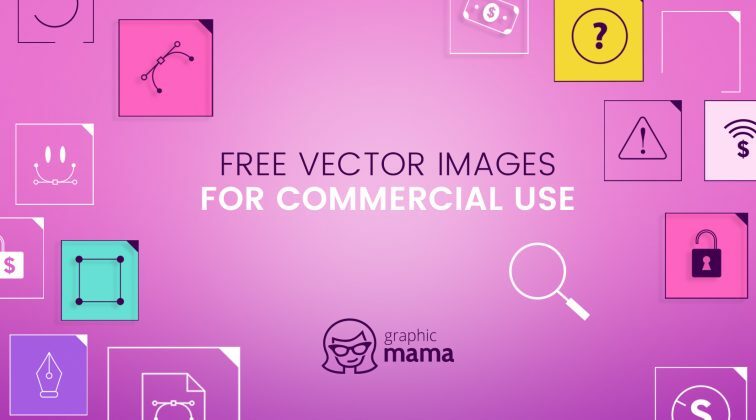 Canva is free to use, however, there are premium elements which you can use in your designs. These elements will appear with a watermark. 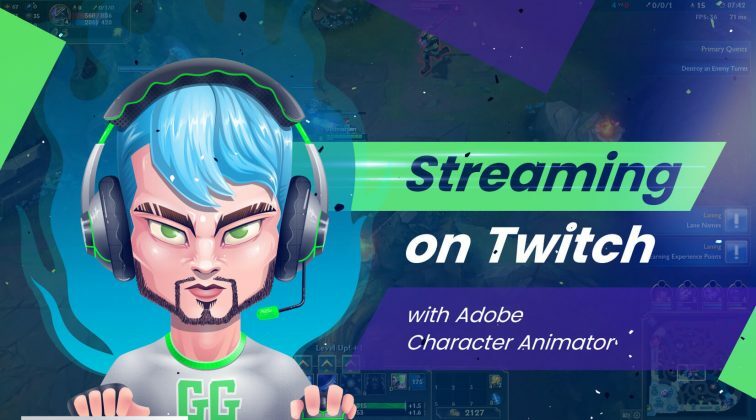 To remove the watermark from these elements, you will have to buy Canva’s license for a one-time use (valid for 24 hrs), a multi-use, or extended use. Of course, you can choose to use only free resources for your design. 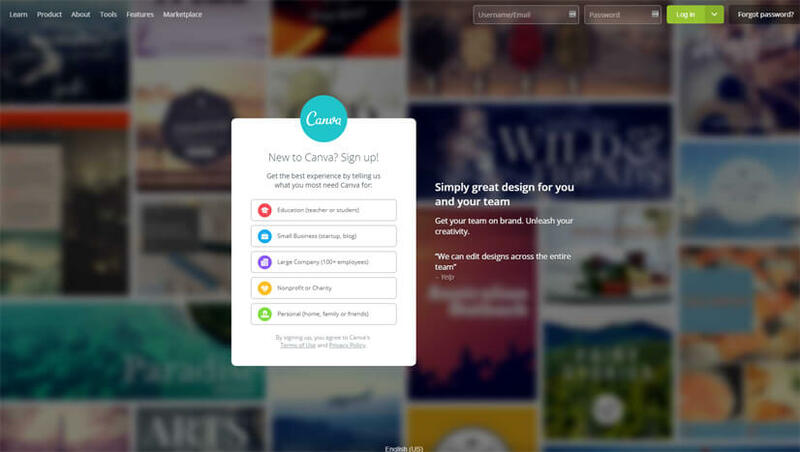 Canva has a Premium version which is called Canva for Work. It is available with a 30-day free trial. You will get access to 300 000 photos and illustrations, unlimited folders, sharing and resizing options. With Canva for Work, you will be able to save your creations with transparent backgrounds and also save your own brand assets – colors, logo, and fonts. Before you roll your sleeves to start creating your infographic design, Piktochart will ask you to pick your field of occupation in order to suggest relevant templates and elements. Once you pick your template, Piktochart sends you to the editor where you can create your designs very easily. You have a library of backgrounds, text boxes, stickers, shapes… pretty much, all kinds of elements. While the free version allows you to create as many visuals as you want, you can download them in a web resolution with a Piktochart watermark on them. Also, you are limited to only 40MB of image uploads and have limited options for sharing. The Lite premium version increases the number of templates you can use: 600+, and the limitation of image uploads up to 100MB. To be able to use all features of Piktochart, you will need to upgrade to a Pro subscription plan which grants you access to fully customizable interactive charts and maps, a large library of icons and images, modification of the color schemes, high-quality image exports, watermark removal, 1GB image uploads and more. The Pro Team subscription allows you to involve your team and collaborate on the design at the same time. Similarly to other tools, you will have to pick your preferred infographic template first and then go to the editor. All the instruments and elements you need are in the left panel. You will find a great diversity of graphics conveniently arranged into categories, photos, data visualization elements such as charts, maps and more. You can easily import media into your design, as well as switch color themes. Visme offers a free Basic plan which entitles you to 3 design projects per month, a storage of 100MB for your media, a limited number of pre-made templates, and some charts and widgets. You can download your project in a JPG file format containing the Visme branding. The Standart premium plan increases your storage to 250MB, gives you access to all premium resources, removes Visme branding and lets you create your own color palettes. Also, you can create up to 15 projects per month. The Complete premium plan entitles you to unlimited monthly projects, 10 GB storage, slide library and more. You can even download your infographic as HTML5. 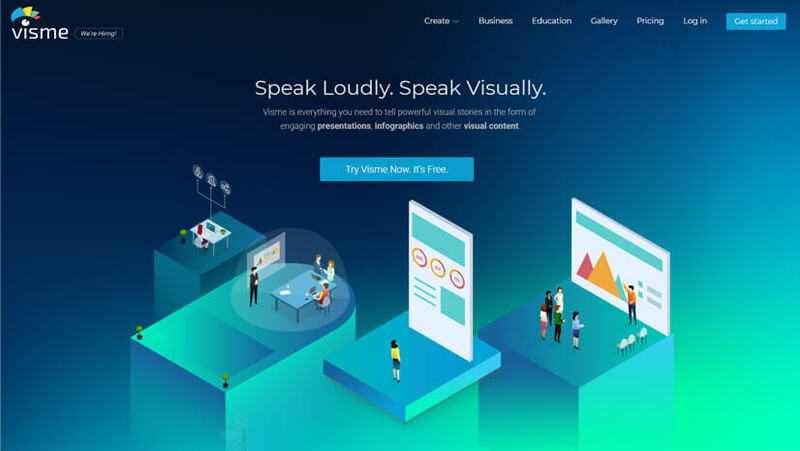 Venngage is an infographic creator which lets you browse the gallery of pre-made infographic templates before signing up. This is great because you have the opportunity to see what the platform has to offer before making a decision. Once you are signed up, Venngage will ask a few questions about your profile and preferences to tailor your experience. In the editor, you will find the library menu on the left. 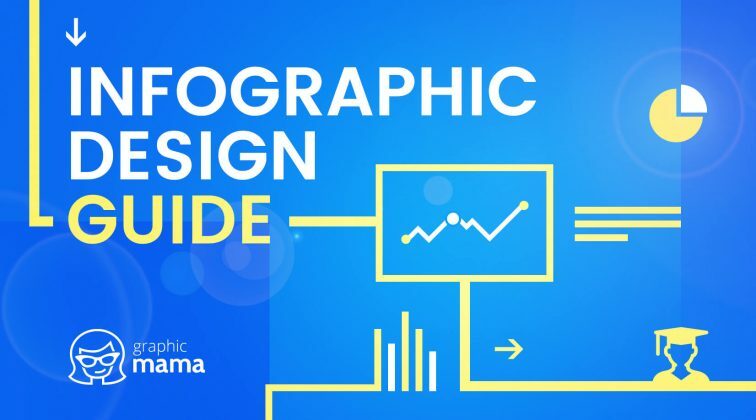 You can start creating your infographic design by choosing text sections, icons, charts, maps, photos and many more resources. You will find out that some resources are premium. To use those, you will need to upgrade your plan. Here is what the free plan covers: 5 infographics per month which include the Venngage’s branding but cannot be downloaded, just shared. The Premium plan gives you access to premium templates and assets. It allows you to upload up to 50 images and download your creations as PNGs or PDFs. To use Venngage’s potential and features to the fullest, you need to purchase the Business plan which basically, gives you access to all premium resources plus additional resources. It also allows you to collaborate with your team on the design, use your own branding, download the designs in high resolutions and more. Infogram has a great section of examples which you can browse as a guest. These give you a great idea of the platform’s capability and help you make a decision. To start creating infographics, you need to sign up. 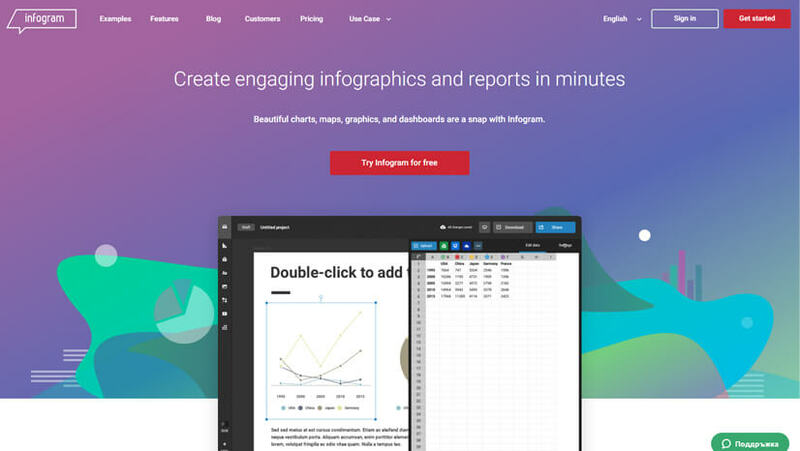 Once you’ve selected a template, Infogram loads the infographic creator editor. The free Basic plan gives you access to a library of graphics such as icons, photos, shapes, etc. You can also use data visualization elements – over 37 interactive charts types and 13 maps types (compared to 550+ for the premium versions). You can create up to 10 projects per month, import your own data and share your designs online. The more you upgrade your plan, the more features you can use. The paid plans give you access to more templates and visualization resources. The number of monthly projects also increases. With the paid plans, you can download your creations in high quality with your own branding and use analytics tools. All of these suggestions will help you create glamorous infographics. However, each platform has a free version with different pros and cons. It’s up to you to decide which one suits your needs the most. We hope we’ve been helpful. If you have anything on your mind that you want to share with us, feel welcome to do so in the Comments.